General Instructions · Brian Amoroso, D.D.S. Your tooth and surrounding gum tissue may be slightly tender for several days as a result of manipulation during treatment and previous condition of your tooth. This tenderness is normal and is no cause for alarm. Do not chew food on the affected side until your endodontic therapy is completed and your tooth is covered with a protective restoration provided by your restorative dentist. 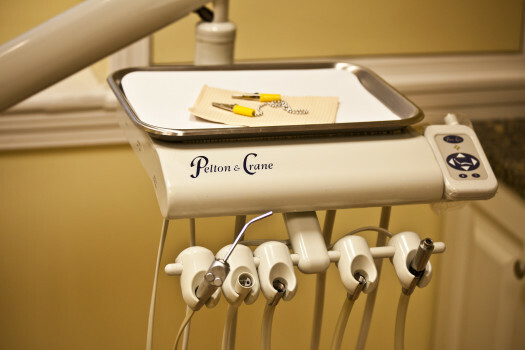 Unless otherwise instructed, you may continue your regular dental hygiene regimen. Discomfort may be alleviated by taking ibuprofen (Advil), sodium naproxen (Aleve), or acetaminophen (Tylenol) as directed. NOTE: Alcohol intake is not advised while taking any of these medications. Should you experience discomfort that cannot be controlled with the above listed medications, or should swelling develop, please contact the office immediately.